We're showing information for 24817. Modern consumers prefer to make informed purchases. They look at reputations and business records, choosing the business that can best address their specific needs. That means the West Virginia market is always getting more competitive. Business owners in Bradshaw, WV are constantly battling to attract new customers, which also increases the need for fast, reliable connectivity. Fortunately, Frontier Business packages give you the Internet access and phone connections you need to quickly reach clients and employees. Business High Speed Internet is just one of the essential services included in these bundles. Every business needs access to state-of-the-art resources to flourish in The Mountain State. Frontier’s services for small businesses offer features that will help your business grow, all while enhancing your relationships with current and future business partners. Job-growth rate projections show an average of 15.06 percent for the Bradshaw area, which means you’re not just in a race with competitors to attract customers, you’re also competing for skilled employees. Frontier gives you the options you need to win over customers and employees alike: Use Conferencing to inspire your employees and keep them on task. 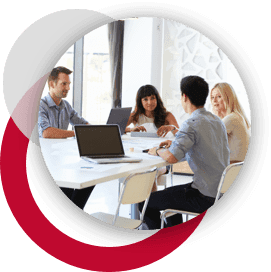 Stay safely connected with employees and clients through Managed IT. Use Texting to promote sales and events, and maintain a healthy, lucrative online presence through Web Hosting and Development. Many businesses in West Virginia are growing and expanding, and although this is a good thing, it can bring new challenges to companies and business leaders. Frontier’s Enterprise Solutions can help you get through this transition phase while preserving growth and ensuring long-term success. Expansion often leads to increased connectivity demands, and Frontier’s scalable Ethernet (Local Area Network and Virtual Private Line) systems will provide flexibility, support, and bandwidth you need. What’s more, the IP Virtual Private Network will give you protected access to your online assets through a safe IP connection. While scalability is important, Bradshaw businesses will need to go further in order to retain a competitive edge. No matter where your customers are, Frontier Communications keeps them connected with crystal clear calling on reliable phone lines. Centrex from Frontier provides your business with fully-featured modern telephones. Furthermore, we will take care of network design, equipment, hosting, monitoring, and more, while you spend your energy making things better for your The Mountain State clients. 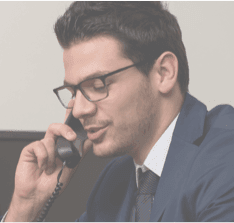 On top of that, the Hosted VoIP solution includes essential features like Voicemail, unlimited nationwide calling, and Caller ID, in addition to voice-to-email integration and superior sound quality (thanks to Frontier voice solutions). In every industry--whether it is Health Care, Finance, Education, or Retail--customers want to quickly connect with reliable service providers. The residents of Bradshaw, WV have the same expectations. Future clients should be able to contact your business over the phone, online, and in person?and if you make those interactions easy and productive, those clients are more likely to remain with your business for the long-term. Frontier offers communications solutions that are tailored to your industry--and these resources can make it easier for you to connect with your clients and employees. Plus, you get high-quality equipment, round-the-clock customer service, and dependable infrastructure in your area. Cybercrime is a real threat that needs to be taken seriously. In 2013, a reported 0 West Virginia businesses and individuals were cybercrime victims. Fortunately, Frontier Secure can help protect your valuable information, which, in turn, will keep your customers and employees—not to mention your business—safe. Frontier Secure provides cloud backup solutions and malware and virus protection, as well as expert technical support to safeguard your online interactions. Plus, with Frontier’s equipment replacement program, West Virginia business owners can enjoy protection for their physical hardware in addition to their online assets. With Frontier Internet solutions, you can expect speeds up to . Faster Internet speeds mean your business can be more productive and profitable. You’ll have more time to focus on customers, when you don’t have to spend all your time waiting for files to download files or websites to load. Frontier has both the speed and protection that your business needs to be successful in West Virginia markets, so sign up now!